LONDON (AP) — Indian entrepreneur Vijay Mallya, once a leading figure among India’s business elite, has resumed his long-running fight against extradition to India on money laundering allegations. 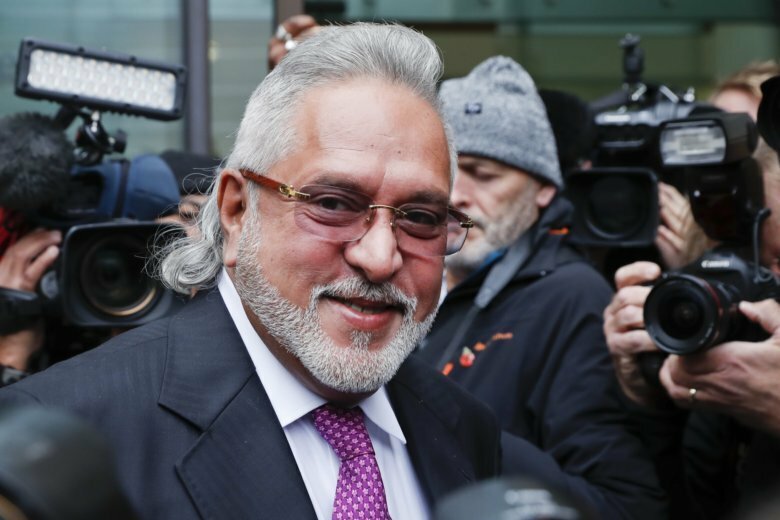 Mallya’s lawyer, Clare Montgomery, said in Westminster Magistrates Court Wednesday that the charges presented by the Indian government against Mallya are not justified. The 62-year-old entrepreneur, who wants to remain in Britain, is accused by India of money laundering and conspiracy involving hundreds of millions of dollars. He has denied wrongdoing. After hearing lengthy submissions from both sides, Judge Emma Arbuthnot said she expects to announce her judgment on the case on Dec. 10. The losing side will still be able to launch a fresh appeal, a process that could take months or longer. Defending the Indian tycoon, Montgomery provided a detailed rebuttal of the government’s case that Mallya had submitted false information on loan applications involving huge sums. She denied he had inflated the value of his holdings and overstated the profitability of his businesses to obtain loans needed to keep his enterprises afloat. “The evidence to support the allegations is nil,” she said, adding that Mallya had understated, not overstated, his net worth on the loan applications. She called the Indian government case against Mallya “bizarre” and said the Indian government’s own evidence undercuts the allegations against Mallya, who sat impassively in the dock during the proceedings. “It’s not just not being honest, they’ve made a series of palpably false allegations,” she said. For his part, Mallya told reporters outside the courtroom that the charges against him were politically motivated. He also said he had met with India’s finance minister, Arun Jaitley, before leaving the country two years ago, an assertion that made front page news in India. Mallya said after the court session he did not mean to start a new controversy by discussing his dealings with Jaitley. “I told him I was going to London and that’s it,” Mallya said outside the courtroom. In India, Jaitley quickly denied Mallya’s version of events. “The statement of Vijay Mallaya that he met me & offered settlement is factually false in as much as it does not reflect truth. Since 2014, I have never given him any appointment to meet me and the question of his having met me does not arise,” Jaitley tweeted. He did say Mallya had spoken to him briefly as he came out of parliament. Prosecutor Mark Summers challenged the view that Mallya had been honest and straightforward in his dealings with Indian banks. He said Mallya had concealed and distorted financial information and acted in bad faith. He said there is ample evidence that Mallya never intended to re-pay the loans and that he had diverted money that had been earmarked for his creditors. Mallya remains free on bail until the judgment is announced. He said during a lunch-break that the allegations against him are false. Ashok Sharma in New Delhi contributed.